HAVE YOU EVER peered out the front window of a New York City subway train and wondered how all that maze of tracks and switches manage to connect to one and other? Or have you ever looked at a public subway map and tried to figure out why one line connects to another, but not to a third line close-by? Perhaps you have wondered what those colour light signals tell the train operator, or what that radio jargon means. 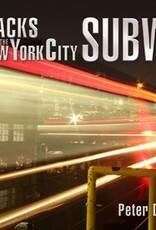 If you answered yes to any of these, then you're interested in Tracks of the New York City Subway! What is Tracks of the NYC Subway? 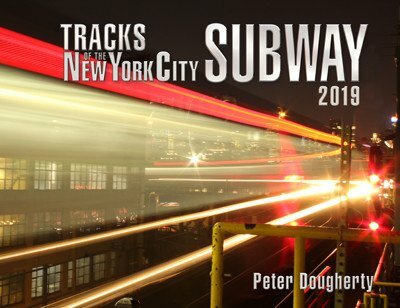 Tracks of the New York City Subway, as its name implies, is a 153 page book containing depictions of every main line and yard track (including track numbers) in the entire New York City subway system--all 750+ miles of track and 472 stations of it! A 42-page introduction gives the reader a brief history of the system, a primer on subway signaling (including a colour insert of the most commonly-encountered signs and signals), details on chainage distances, towers, power generation/distribution and a detailed list of abandoned stations.